The Bank of Communications is one of the largest commercial banks in China.Founded in 1908, the bank currently has 78 branches throughout the nation. Three of its branchesare in Chongqing, one of the world's biggest citieswith 28.8 million population. As The Bank of Communications provides various services and operates large amount of business, it welcomes many customers come-and-go every day. This situation drove the bank to pursue an effective surveillance solution to safeguard customers and staff in the bank and ATM areas. Originally, the bank used a hybrid recording solution for its building surveillance. While its business was growing with higher customer traffic in the bank, the bank emphasized more on safeguard and resorted to the digital technology with high resolution display. Furthermore, the bank planned to upgrade its surveillance application to the network storage devices that support a variety of leading camera brands. The Bank of Communications upgraded its surveillance appliance to an all-IP solution featuring Panasonic network cameras, three units of QNAP® VioStor VS-2004 Pro NVRs, and three units of VioStor VS-4008 Pro NVRs. "We compared QNAP with other domestic storage providers, and the choice was proven wise," said the local system integrator. 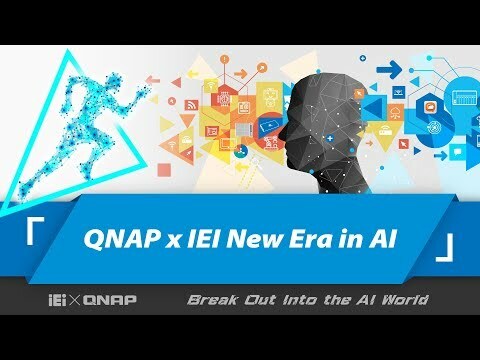 "QNAP offersawide range of support for third-party network cameras, allowing us to build up aneffective and efficient surveillance solution." QNAP earned high marks for passing all the local law enforcement tests. In addition, the on-site NVRs at the three locations store footage for a mandated 30 days, fulfilling legal requirements. The arrangement of QNAP® VioStor NVRs includesthree units ofVS-4008 Pro receivingcamera feeds from inside the bank, andthree units ofVS-2004 Prostoring video recording from the ATM area. A total of 18 cameras were deployed at the three banks -12 monitored indoor the bank and 6 monitored the ATMs. In addition to the easiness of configuration and the flexibility of connecting IP cameras, reliability bears another important feature that clear images of all events throughout the banks were backed upwith strong redundancy in the network video recording storage. From the viewpoints of administrators, the bank's security staff found the QNAP NVRs easy to use as DVRs. Inspite of the completely different layout, some commonly used CCTV features, such as local display, are designed for the administrators as well. In other words, despite streaming images over an IP network, the NVR preserved the look and feel of an analog DVR. This user-friendly interface made the migration from analog to IP easier. The Bank of Communicationswas pleased with the quality service and reliability from QNAP Security. 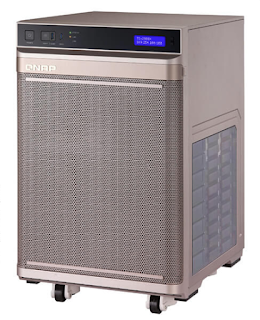 QNAP NVRs, with the comprehensive functions of event management, SMS/email alert, playback, online RAID and scheduled recording,made surveillance solution simple and effective, enabling the bank to offer a safer environment for its customers and staff. Based on this successful and good experience, it plans to replace more of the storage systems at other branches and ATM vestibules. As other branches undergo restoration, the bank has confirmed to deploy more QNAP NVRs as the surveillance system.